September’s $1000 RCR Madness Tournament was a huge success! On September 18th, sixteen Mahjong Time players competed in the 3-round elimination event, with DragonBoy8 taking first place and a $500 grand prize, runner - up: mcguires - $350, and third place: cottonton - $150! Each Madness Tournament has been very popular, with many players competing through the Satellites and Qualifiers for their chance to take a share of the prize pool. Mahjong Time is very excited for the next Madness event coming on November 13th! And remember, if you won more than one seat to September’s event, you can use a spare seat to participate in the next event! Tournament Rounds: One preliminary round, then an 8 player elimination round and a 4 player final round. TW and RCR satellites are interchangeable. This means that if you win a TW satellite you can choose to participate in either a TW or RCR qualifier, and vice-versa. Each player is responsible for a good Internet connection since the clocks WILL NOT stop in case of disconnection or offline. In the unlikely event of internal technical problems of the server, MahjongTime reserves the right to restart the game at the specific position before such an incident might occur or ask the players to replay the unfinished hand. 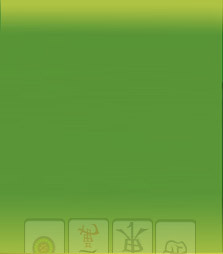 In case of any disputes regarding any terms or conditions the decision of the Mahjong Time management is final.